The Real Housewives of New York City may have six cast members in season 11, but Sonja Morgan‘s hair should be added a co-star! The blonde bombshell is rocking longer and bigger tresses than ever before this season, so we had to know what she’s been using to keep her locks so perfect. Sure, it may be Sonja’s world, but it just got a whole lot easier to live in it! The RHONY star recently dished about her favorite hair product, which she’s been using not just lately but for several decades! Thanks to this dry shampoo, we too can have hair as big and bold as Sonja’s hair (and personality!). 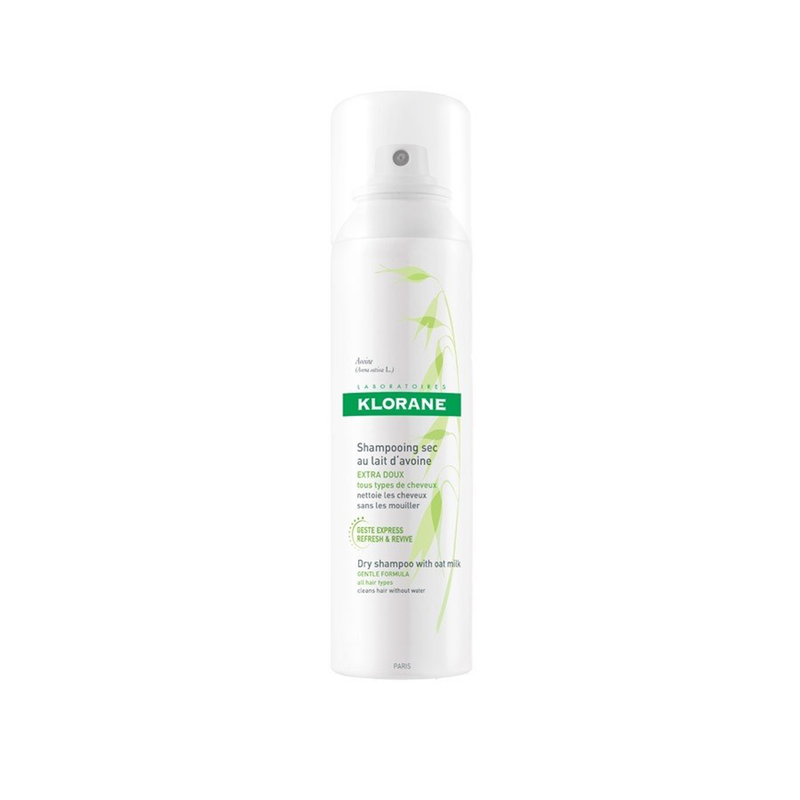 See it: Grab the Klorane Dry Shampoo with Oat Milk with prices starting as low as $10, available at Dermstore! Also available at Amazon! The Klorane Dry Shampoo with Oat Milk is the Morgan must-have she dished about in a video for Bravo, noting it’s a long-time favorite! She may all about be spicing up her day-to-day life! But what about when it comes to her hair? Not so fast! This blonde bombshell isn’t so quick to make a switch. And we can hardly blame her. Why fix what isn’t actually broken? That’s right, when it comes to her hair, this little luxury product has been Sonja’s hair’s secret weapon for the last 25 or 30 years! This dry shampoo is the ideal product for each and every hair type out there. It will instantly absorb all of that unwanted oil and grease, and in turn, leave our hair silky smooth. That’s right, from the root to the tip, it will be silky smooth. In seconds, our hair will not only look light and manageable, but it will smell and look clean. Think freshly washed hair, without having to actually involve any shampoo or water! We love! Let’s be honest, this dry shampoo isn’t just a must-have. It’s an essential. The gentle formula is created to be paraben- and colorant-free which is almost as amazing as the nourishing oat milk, which makes our hair super soft. With just a few spritzes here and there, this product isn’t just saving our hair, but our bank accounts too! Think of all those weekly blowouts that will be instantly extended! Not only that, but it will make those midday touch-ups irrelevant and leave our hair looking salon-worthy in seconds, too! This Allure Best of Beauty award-winner didn’t just win over beauty editors and judges. No, this dry shampoo went ahead and won over so many users, as well! Scoring a perfect five-star rating, this dry shampoo left so many reviewers swooning! So many shoppers called this dry shampoo their everyday must-have. Wow, doesn’t that sound familiar! Users loved how compact and portable this product was when looking to freshen up their locks with some love during their workday, morning or in-between events. Personally, we couldn’t agree more. With two sizes available, it makes this must-have an actual must have. The smaller 1 oz. can is perfect for workbags, weekly commutes and even travels. Think vacations, overnight stays or just an on-the-go option! The 3.2 oz. bottle is the perfect piece to add to our bathroom cabinets. Shoppers loved how this product was so usable without taking up too much space in their day-to-day lives! Surely, we can all understand why reviewers are head-over-heels in love with this perfect product. Many loved how much texture this product gave to their hair. A few quick spritzes and sprays added even more volume for extra oomph. The dry shampoo works double-duty, serving up soft and manageable hair but giving it that extra boost at its root to make it over the top. As Morgan noted in the Bravo video, it “works every time!” Similarly mirroring Morgan, reviewers raved over the soft and manageable tousled texture this dry shampoo provides. Across the board, from thin to thick hair, this product proved effective and long-lasting. Not only did it give hair all-day support, but it also gives hair day-to-day support. When looking to keep hair as over-the-top as Sonja’s hair (and personality! ), this Klorane Dry Shampoo is the simplest and sleekiest solution ever! Not your style? Check out additional Klorane products also available at Dermstore!